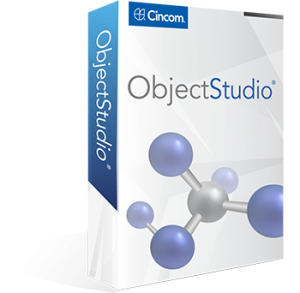 It is our pleasure to bring you the current major release of Cincom ObjectStudio 8.9. Both Cincom ObjectStudio and Cincom® VisualWorks® share the same core libraries and foundation, which means enhancements on the foundation improve both products. 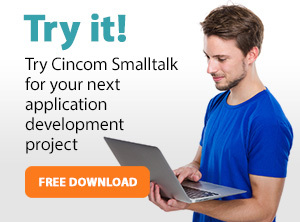 This release has very significant and meaningful upgrades for the Cincom Smalltalk Foundation and for each product, with over 700 action requests (ARs) being addressed. For developers of scalable internet, intranet and client/server applications, ObjectStudio programming tools provide increased productivity to help you meet the rapid time-to-market requirements of today’s market. For customers needing to build applications that cleanly fold into a Microsoft®-centric infrastructure, ObjectStudio is an excellent choice. It’s known as the “business person’s thinking tool.” Based on the powerful Smalltalk language, ObjectStudio provides a robust development environment, which is necessary to create innovative applications that capture complex business models and processes. 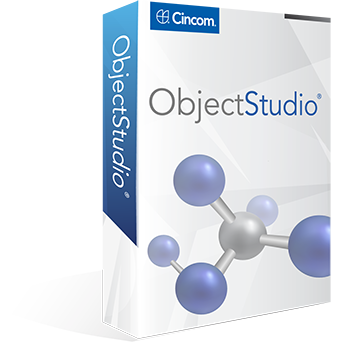 Powerful Object Modeling–The ObjectStudio modeling tool integrates the design of complex business objects generation, presenting a high-level, business-like interface that delivers user-friendly tools for working with objects. The object modeling tool supports case analysis, event diagramming, CRC cards and notations, including industry standard UML. Automated Code Generation–Using ObjectStudio, an application moves from the design stage to completion much faster than with traditional tools. The ObjectStudio modeling tool can modify and maintain applications more quickly and easily because class hierarchies and object relationships can be arranged graphically, without coding. Simply make changes to the model and then let the modeling tool generate the code automatically. Round-Trip Engineering–Even after an application is rolled out, your job is not done. Ever changing requirements mean ever-changing code. With ObjectStudio, any changes to the business object model are automatically reflected in the code and vice versa. This means that you always have access to a current business model of the application. Using a current visual and easy-to-understand model, your business analysts, training and support team and IT staff can better understand your complex enterprise applications and be productive in less time. Robust Object Mapping–The ObjectStudio mapping tool provides visual, drag-and-drop tools for linking objects to databases. The Object Relational Mapper uses the resulting object mapping definitions to make application connections to your database, without requiring any SQL code to be written into the application. This allows the developer to concentrate on objects without worrying about the details of the database implementation. This is done automatically.